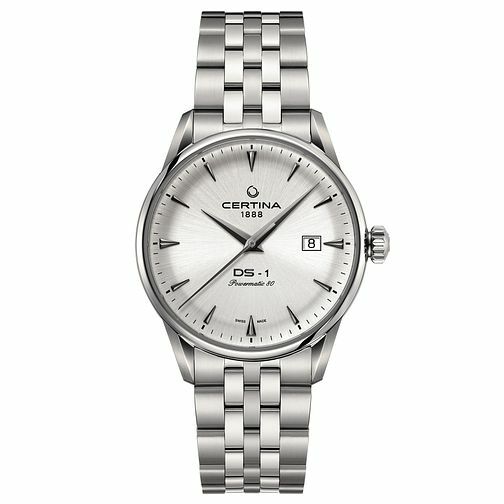 A classically refined DS watch by Swiss watchmaker Certina, styled with a stainless steel case and bracelet. A smoky grey dial features silver tone hour markers & hands with a date window at three o'clock. Powered by automatic movement. Certina DS-1 Powermatic Men's Stainless Steel Bracelet Watch is rated 4.0 out of 5 by 1.